You are here: Home / Survival Knife / What’s the Best Mora Knife? This article will help you better understand which Morakniv knives are some of the best available on the market today. We’ll cover a wide range of knives and what they’re best used for, and then recommend you a small handful of Mora blades based on everything from price to overall effectiveness. Before we get started, please use our interactive table below to see how some of the best Morakniv knives on the market compare to one another. There are all kinds of knives on the market. The designs cover every possible permutation, from the very useful to the ridiculous. There are models so small that you can only hold them with 2 fingers, and models large enough to qualify as full-fledged swords. All a knife really has to do is two things: stab and slice. That’s all it takes to be a good survival tool. And it needs to be tough enough to withstand the normal—and maybe a little abnormal stress—involved in doing those two things. Our ancient ancestors did these things perfectly well for thousands of years with nothing more than stone blades. But those stone blades had one thing most modern knives do not have—a wickedly scary-sharp edge. Nothing on the planet is sharper than a well-knapped obsidian blade. 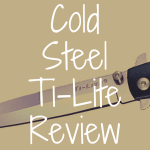 Modern steel knives (yes, even Cold Steel blades) are a compromise between toughness and sharpness. You can have a wicked edge, but it won’t hold up long without having to be re-sharpened. That’s why when you shave with a straight razor (I love my Genco and Dovos), you have to strop them several times during the shave, unless you like knicks—and a sore face. One knife manufacturer that seems to have found the perfect balance between an absolutely unbelievable edge, approaching that of obsidian, with reasonable edge retention, is a company called Moraknives in Sweden. The only other knife I have ever used that comes close to taking the edge of a Mora is an Opinel, another outstanding knife manufacturer in France. Mora knives aren’t fancy. They don’t even make a folding knife model. Their sheaths are simple friction-locks that hold the knife securely under most circumstances you may find yourself in, including hanging upside-down from a tree (Don’t ask how I know this—it’s a long and embarrassing story). The handles are simple wood, or thermo-plastic, and the blades are simple modified clip points on all the basic knives. They make some specialty knives for craft work, trades, and culinary use, but even these are basic, solid and dependable. The blade sizes run from around 3” to 8”, with the majority being between 3-1/2” to 4”, the perfect size for an all-around knife. There are no Zombie-Killers, or Rambo Specials in their line-up (except for one I will mention later). 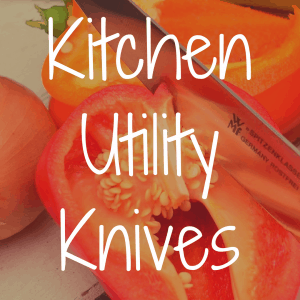 Just good, solid, useful knives, and at reasonable prices that almost anyone can afford. For the money, I just don’t think a Mora can be beat. Mora actually is a style of knife, rather than a brand name. Mora is the region in Sweden where the main manufactures were (and still are) located. The basic style was loosely based on the Finnish Puukku knives of Finland, another great design. 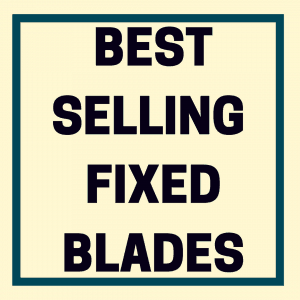 The actual birth of these Scandinavian blades is lost to history, but we do know that they were quite common among the Lapps in medieval times. The basic design has changed little over the years. They were basic clip-point utility knives with plain, or sometimes stained, birch handles, and usually with no blade guard. As a rule, they were seldom over 4” long, and were an everyday knife. They did carry a certain amount of prestige, and to have one of these given to you was a great honor. What’s So Great About a Mora Knife? Moras have an edge like no other knife I have ever used. While many knives advertise themselves as “razor-sharp,” this is a gross exaggeration, as anyone who shaves with a straight razor can tell you that. It takes a lot of practice, and a certain thickness of blade, to able to be stropped to “shaving sharp.” But Moras come as close as I believe it is possible with a utility knife blade. And, when you start to lose the edge, a few swipes on a stone or any sharpener restores it back to the factory edge, even on the stainless steel models, which are almost as sharp. Part of the sharpness, I believe, comes from the incredible Swedish Sandvik UHB-20C carbon steel, and the Sandvik 12C27 stainless steel, combined with the straight Scandinavian Grind, which makes it easy to restore the factory edge. The carbon steel blades have an HRC (Rockwell Hardness Scale) of 58-61, and the stainless steel has an HRC of 58. Nothing cuts like a Mora. They are light and handy. It’s easy to forget it is on your belt, and the average size is such that it does not get in your way when you are climbing, getting in or out of a vehicle, wearing a backpack, fishing, etc. They are moderately priced, usually well under $20.00, yet they can outperform knives costing 10x as much. Moras feel great in your hand, and are an absolute pleasure to use. They feel like a part of you. Now, are they as good as a $100.00 knife? Well, the answer is somewhat complicated. For example, do you really want to baton with a $100.00 knife if you don’t have to? 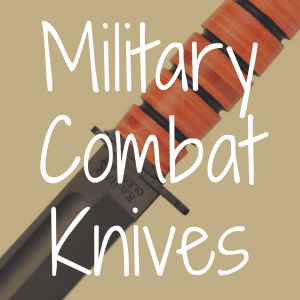 Most knives, especially higher-end knives, are marketing gimmicks aimed at Rambo wannabes. Moras are just tools. And they perform very well as such. They may not survive a direct hit from a missile, but you can replace them for under $20.00. At that price, there is no reason not to own several (presuming your budget and local laws allow it). What Is The Best Mora Knife Out There? Most Moras appear very similar, but there are subtle differences that make a huge impact on how they feel and perform for you. Most Moras are either 3/32”, or 1/16” thick, except for the 511 Craftline Q at 11/32”, which cuts like nothing else you have ever held. It doesn’t sound like much of a difference, but when you start cutting, the difference is astounding. By the same token, the thicker 1/16” blades take a lot more abuse. Blade lengths run from around 3-3/4” to 5-1/2”, except for some of the new models where they have bowed to the demand for ridiculous-sized short-swords, such as the Model 749 Allrounder, at an insane 8”, unless you plan on serving in one of the Roman Legions, or maybe a Viking raiding party. Scales are either Birch wood (my favorite) or thermo-plastic. Both provide very good grips. They come in carbon steel (another favorite of mine) or stainless. There is only a slight difference in the edge from a stainless to the carbon blades that I have noticed—nothing too major. Some have finger-guards, and some do not (I prefer them without one, because I can do things with them that I can’t do with one that has a finger-guard). The Smaller Blades: Classics, Models 511 and High Q – These are the least expensive knives in the Mora line. The classics are just what the name implies, the time-honored original with birch handles, and a 3-3/4” blade. The Classic 2 is the same knife as the Classic 1 with a better sheath, and a slightly shorter blade. The Classic 2/0 has a slightly longer blade, almost 4”. The Classic 3 has a 5” blade. The Classic 600 Series are the same knives with finger-guards. The Q Models (511 and High Q) have the same blades as the Classics, but mounted in thermo-plastic scales with an integral finger-guard (sort of). All the knives in this range have 3/32” thick blades, and slice like you wouldn’t believe. Medium Blades: Companion MG and 840 Clipper – The Clipper has been around for a while and is very popular. In 2010, Mora discontinued the Clipper, but due to public outcry, they brought it back. Its would-be replacement, the Companion MG is the same knife. The only difference between the two is that the Clipper has checkered handles, while the Companion’s are smooth. They are full-geometry blades at 4” long, 3/4” wide, and 1/16” thick. They can take some abuse, too. The scales are thermo-plastic, as are the friction sheaths, which have the great slots for hanging on buttons as well as a belt. In my opinion, these are great all-around knives, even though I actually prefer the Classics (I really dig the retro look and feel—but that’s just me). 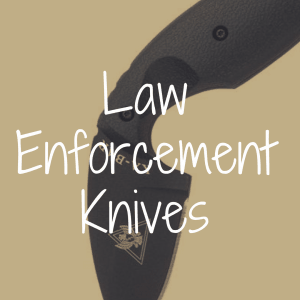 Large Blades: Top Q, Models 711, and 911 – Actually, these have the same blade length and geometry as the Clipper/Companions, but the blades are thicker at almost 1/8” thick, and the thermo-plastic scales are beefier. They feel more robust and heftier. These models were made to take a beating. The Top Q’s handle is just slightly thicker than the Companion’s, and has no finger-guard. It feels very maneuverable in the hand. The 911’s scales are the same thickness as the Top Q, but with different ergonomics. It has a dip for the first finger, and a small finger-guard. Personally, I don’t like the way this one feels in my hand. It just doesn’t seem to fit right, compared to the other models. But it may just be me. Everyone has different hands. The 711 has the thickest scales and feels very secure in the hand. The Model 749 Allround: aka The Monster – I mentioned this one earlier. It has nice thermo-plastic scales, but the 8” blade is just nuts. This is my least favorite of all the Moras. It is too large to wear comfortably on a belt, too light to be a good chopper, or machete, and too long and unwieldy for any slicing—unless you need to fillet a Basking Shark, or something, and just too “everything” to be a good hunting knife. But it does take a great edge for such a huge knife. Moras aren’t fancy. They are not gimmicky. You might say they are not even pretty (I would disagree), but they are outstanding tools for the money. If you feel like marching to the beat of a different drummer, and desire to leave the Blade-Snob crowd behind, grab a Mora and head for the Boonies. Life is too short not to have an occasional adventure. Please “like us” on our brand new Reliable Knife Facebook page! What’s the Best Knife for Filleting Fish? What’s the Best Pocket Knife of 2015? What Are the Best Pocket Knives on the Market? What’s the Best Gerber Knife? 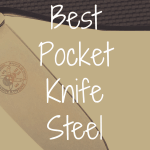 What’s the Best Pocket Knife Steel? 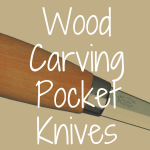 Guide to Wood Carving Pocket Knives: What Blade is Best?